I wanted to put a post together of my yoga journey over the last few years which has been quite colorful & creative especially working around 3 kid’s schedules. We have done a lot of yoga together as a family, I have become a RYT (registered yoga teacher), and expanded upon my knowledge of baby, toddler & kid’s yoga trainings over the last couple of years. I LOVED teaching outdoors in Hawaii for adults and my mama & babe yoga class…I miss it so much! One day when life isn’t as crazy I hope to teach again but for now as we wait to have our 4th baby…I am going to continue my own yoga practice and more trainings.I have an extension training of my kid’s yoga certificate coming up in October. I love using oils during my practice…they work so well to bring you back to the present moment and enjoy your practice. 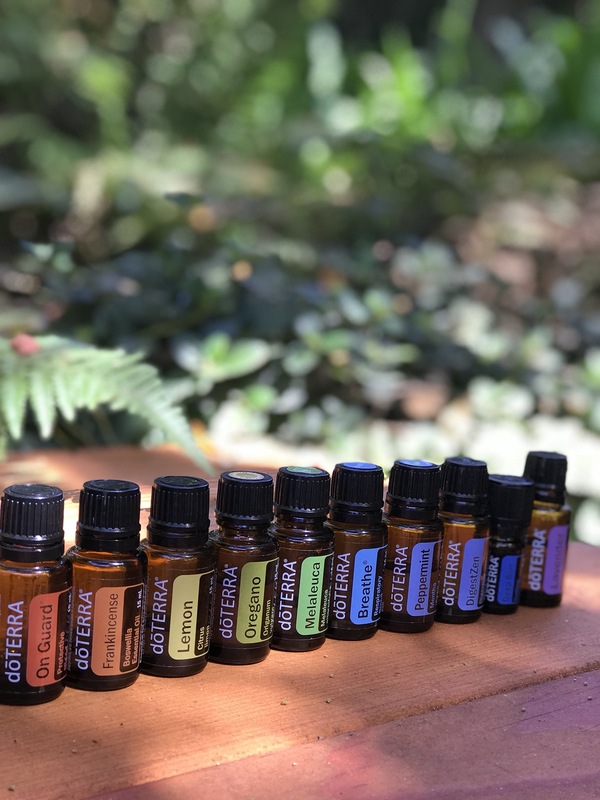 More info on yoga and essential oils can be found here on doTERRA’s blog: CLICK HERE to ready Healthy living with Yoga and Essential Oils. I used to apply AromaTouch Massage blend, Deep Blue Soothing blend or Lavender for a neck & shoulder massage during Savasana in both my Power Yoga class/Mama & Babe yoga. Such a beautiful way to end a practice. And/or I would use a variety of sprays since using a diffuser outdoors did not make sense but if you have an indoor space diffusing during practice is awesome! For yoga teachers, click here to get an awesome book on using oils in your yoga practice. See my diffuser recipes below and click here to learn more about starting with essential oils. Scroll down to check out some of my favorite photos of my own kids and my classes over the years! Email if you have any questions: samanthahud@yahoo.com. My favorite was teaching the Mama & Babe yoga class back in Hawaii – so this is why I continue to do trainings on kid’s yoga – click the link to read more about mama & babe yoga from Prescribe Nutrition’s post about my class: CLICK HERE. Give yoga a try – it’s an amazing journey for your body & mind. Namaste! SKIP THE STORE -> BUY NATURAL, QUALITY PRODUCTS!